This sweet cake is an Odiya speciality. I just loved this when i was a child. And whenever it rains, the child in me comes out to play. I tried this for the first time, and it wasn't too bad. Actually, it was quite good for a first timer. 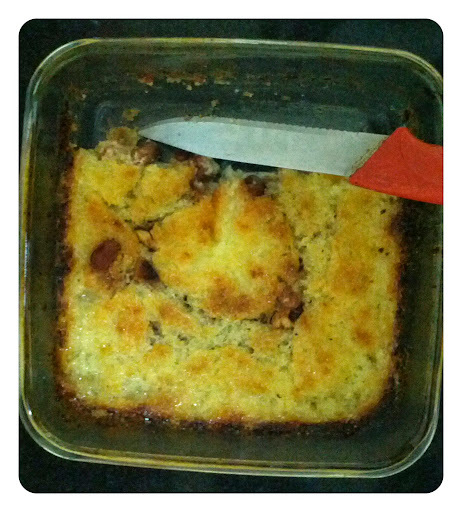 Chenna Poda: Means "Burnt Cheese Cake". By the way, according to history, Rasogulla, was another Odiya delicacy, first made here. But with time, people have been attributing the origins of this sweet to West Bengal. If you are travelling to Odissa, don't forget to taste a few Rasogullas. Not the canned ones. The originals, are a lot softer than what you might have normally tasted. And you might bot believe me, but you won't get those original Rasogullas anywhere else. Enough. Let me enjoy my Chenna Poda first.